This is a 1/24 1971 Hemi Cuda 426 Plastic Car Kit. This Revell-Monogram model is a skill level 2 for intermediate modelers, ages 10 and up. 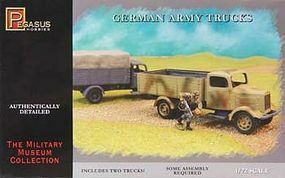 This is the 1/72 Scale Plastic Model Military Vehicle Kit of the German Army Trucks (2) by Pegasus Hobbies. Suitable for Ages 8 & Older. 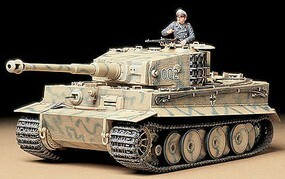 This is a plastic model kit of the 1/35 Scale German Tiger I Mid Production Tank from Tamiya. It's recommended for modelers ages 10 and over. 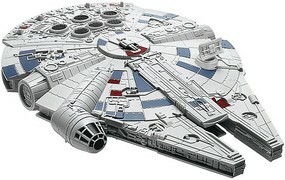 This is the 1/164 Scale Star Wars Millennium Falcon (TM) SnapTite Build & Play(TM) Model Kit by Revell. Suitable for Ages 8 & Older. This is the 1/24 1/25 Scale Blue Prewired Distributor w/Aluminum Coil & Spark Plug Boot Material from Parts by Parks. 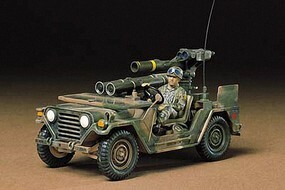 This is a Plastic Model Kit of the 1/35 Scale U.S. M151A2 Jeep with Tow Missile Launcher from Tamiya. Recommended for ages 10 and up. 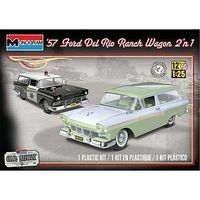 This is the 1/25 Scale '57 Ford Del Rio Ranch Wagon 2n1 Plastic Model Kit from Revell. Suitable for Ages 10 & Up. 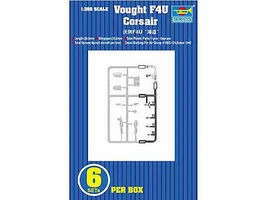 This is a 1/350 scale F-4U Corsair set from Trumpeter. This is the 1/35 Scale British 25 Pounder Gun/Quad Plastic Model Kit from Tamiya. Suitable for Age 14 & Older. This is the 1/24 Scale '91 Ford Ford F-350 Dually Pickup Plastic Model Kit by Revell. Suitable for Ages 14 & Older. This is the 1/25 Scale Red Prewired Distributor with Aluminum Coil & Spark Plug Boot Material Plastic Model Engine Detail by Parts by Parks. This is a SBD Dauntless Plastic Model Kit from Revell. Suitable for Ages 10 & Older. This is a plastic model kit of a 1/35 Scale Set of WWII German Front-Line Infantymen made by Tamiya. This kit is recommended for ages 10 and up. This is a Plastic Model Kit of the 1/35 Scale U.S. M113 ACAV from Tamiya. For Ages 10 and Up. This is the 1/24-1/25 Scale Manufacturer Sponsor Logos #1 from Gofer Racing Models Decals. This is a plastic model kit of a 1/35 Scale Jerry Cans Set from Tamiya. For modelers 10 years of age and up. This is the 1/35 Scale M4A3E8 Sherman Easy Eight Plastic Model Kit from Tamiya's 1/35 Military Miniature Series. Suitable for Age 14 & Older.:. This is the 1/48 Scale B17G Gun Barrels for Revell-Monogram by Quickboost.